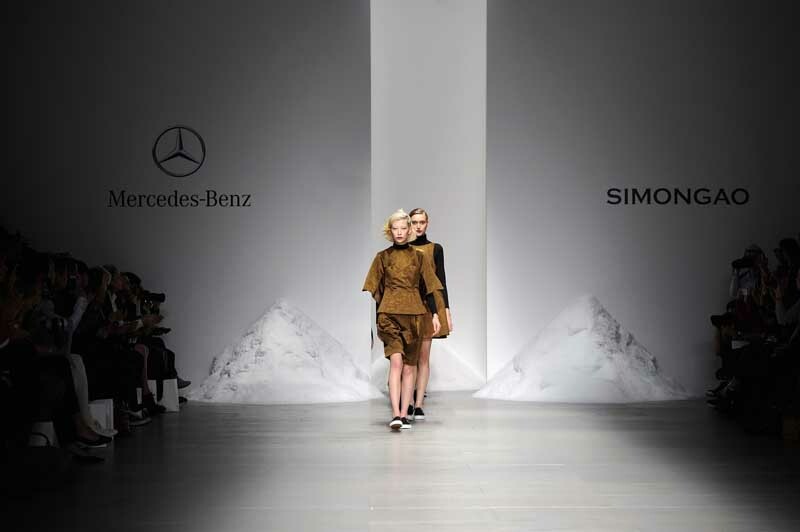 Mercedes-Benz is celebrating its 10th season as the official car partner of London Fashion Week by presenting young Chinese designer Simon Gao, whose Autumn/Winter 2014 collection, ‘Contrasting Wisdom’, was unveiled in London for the first time last week. Simon Gao is one of the hottest new designers in China, having created his SIMONGAO brand in 2012. He was the star of Mercedes-Benz China Fashion Week in 2013, as well as the recipient of the 2013 Mercedes-Benz China Young Fashion Award. During London Fashion Week a fleet of environmentally friendly Mercedes-Benz cars were out in force across the capital, ensuring that the media, fashion VIPs, models and designers got around in style. The fleet included the Mercedes-Benz GLA, our stylish new compact SUV. Mercedes-Benz has been affiliated with London Fashion Week since 2009, and the brand supports fashion in 22 countries around the world. In the UK this includes London Fashion Week and London Collections: Men – two of the most prestigious events on the global fashion calendar.